A record that's virtually impossible to describe in words – partly because it's got a trans-historical, trans-spatial sort of vibe – effortlessly filtering together the best roots of older French pop music, and combining them with a range of underground pop elements that reach out to the farther reaches of the globe! 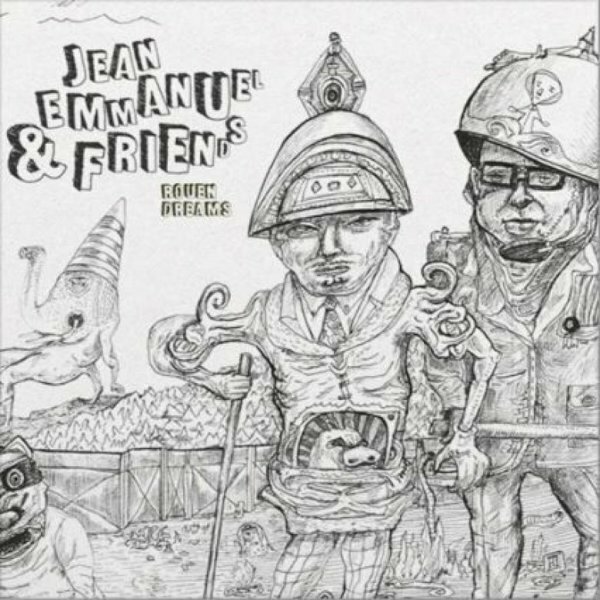 Jean Emmanuel Deluxe sings lead – often with a raspy style that's partly sung, partly spoken – but never in a Serge Gainsbourg mode. Instead, he gets lots of spacey support on keyboards, echoey drums, and other instrumentation that feels like reworked 60s modes – ala Stereolab, High Llamas, or Pearlfishers. Yet the record is nothing like any of those references at all – even though Sean O'Hagan provides some guest work – as does Bertrand Burgalat, Misawa Masanori, and drummer Werner "Zappi" Diermaier of Faust. Titles include "Lushy Life", "The Girl Who Was Talking In Reverse", "Claire", "La Gourveneur De California", "Hollywood Parties", and "Comme Une Video Star". © 1996-2019, Dusty Groove, Inc.